The key to the most life-altering, memory-making and utterly beautiful travel is to do it like a local. These secrets, some better known than others, will transform your trip into one you'll remember forever. Travel in itself is one of the most rewarding experiences. You get to see new places, immerse yourself in new experiences, try new cuisines and meet incredibly vibrant and unique people. However, not all travel is created equal. So many people miss the once-in-a-lifetime moments and the unforgettable encounters when their faces are buried deep in guidebooks or stuck with other tourists at iconic landmarks. The key to the most life-altering, memory-making and utterly beautiful travel is to do it like a local. These secrets, some better known than others, will transform your trip into one you'll remember forever. There are some things you must do in every city or country -- like see the Eiffel Tower in Paris or take the ferry to the Statue of Liberty in New York City. However, what so many tourists forget is to explore the neighborhoods, quirks and sights outside of these major landmarks. 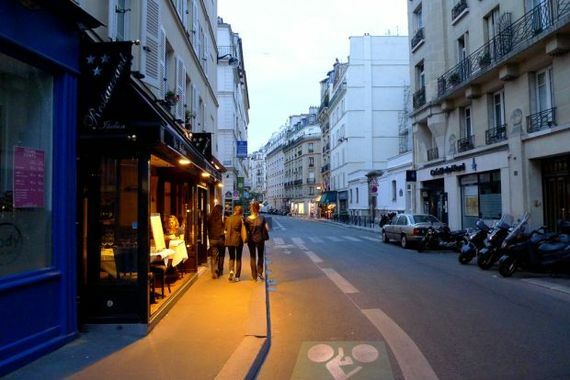 Some of the most memorable experiences come from the moments you veer off the beaten path and get lost in the neighborhoods, cafes, stores and parks where locals live and hang. It's natural to want to document every single thing you see, taste and feel on your trips. However, the focus for the perfect photos, Instagram captures or Facebook posts sometimes causes you to miss what is really happening around you. Whether it's just for a moment or an entire day, putting down the camera or phone will help you soak up the most of your trip and the place you're visiting. Forget those double-decker bus tours and book an adventure with a true local. Websites like Vayable connect you with residents who offer authentic tours of their city or town. Locals offer a perspective you'll likely never receive from a mainstream tour operator. In addition, they'll show you their favorite spots -- whether it's a locals-only pub with cheap drinks, a hidden spot with the best views of the city or their favorite park tucked far away from tourist traps. This is a no-brainer and has been said before, but it's so important it needs to be reiterated. You're never going to feel like a local if you're staying in a hotel, no matter how luxe or basic that room may be. Forgo the hotels and rent an apartment on Airbnb or try CouchSurfing. This gives you the chance to really live like a local, shop for food and prepare meals and meet other locals in and around the building or house. Choose a neighborhood far from tourist landmarks for an even more authentic experience. Few things can give you a deeper insight into the country, city or town quite like the food. And what better way to really taste the culture of your destination than with a cooking class? These not only teach you about the place's authentic cuisine like pho in Vietnam or foie gras in France, but also give you the chance to remake these classics when you're at home. If you're visiting a location where English is not the first language, mastering a few key phrases can help you navigate your way around and feel more connected to the locals in your area. Some important phrases like greetings, thank you, apologies, numbers, directions and food and drink terms are some basics that are relatively easy to learn. In most places, the locals respond politely and positivity when they see you trying to learn their language. There are so many reasons to volunteer, especially when you're traveling. Whether you're going to Uganda, Spain or Cambodia, there are thousands of reputable charities, such as Habitat for Humanity and the World Hunger Association, that give you the chance to help out a local population and meet other like-minded travelers. In addition, these opportunities often give you the chance to see uncharted locations in the country often not seen by the average tourist. This one is imperative and sadly overlooked when many people travel to exotic countries. Remember: You are visiting someone else's world, not the other way around. Respect local traditions, looks, sounds and tastes, and try to understand instead of pass judgment. The secret to really understanding a culture is through its flavors. You can't grasp the unique complexities and values of a local destination without at least trying their favorite (or signature) dishes. Food offers a look at the city's history and gives you a way to connect with the people who live there. If you're not sure where the best spots are, ask a local! Whether it's the person you rented a house from or the guy behind you at the supermarket, they'll be more than happy to help. About the author: Claire Volkman is a social media journalist with a passion for food and travel. She's spent time in more than 30 countries and hundreds of cities writing, photographing and immersing herself in all things food, wine and culture. You can find her favorite recipes on her blog, The Realistic Nutritionist. Follow her on Facebook, Twitter, Instagram and Google+ to keep up with her adventures.